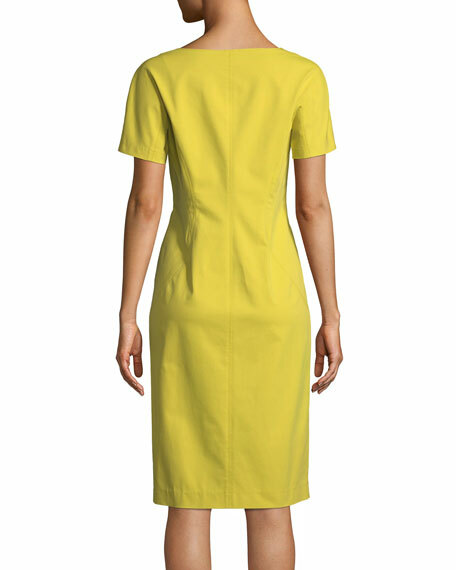 Lafayette 148 New York "Deja" dress in Fundamental bi-stretch fabric. 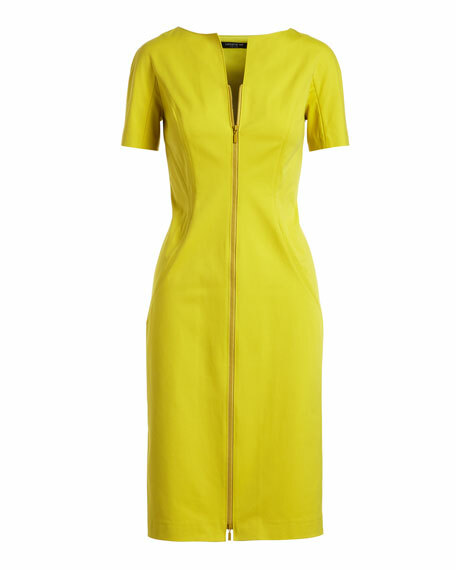 Split neckline; two-way zip front. 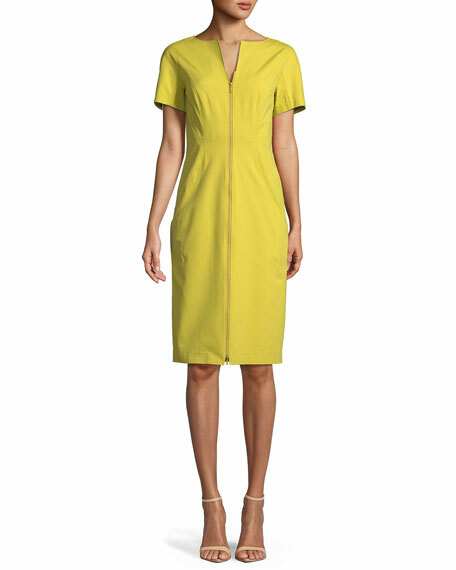 For in-store inquiries, use sku #2089083.